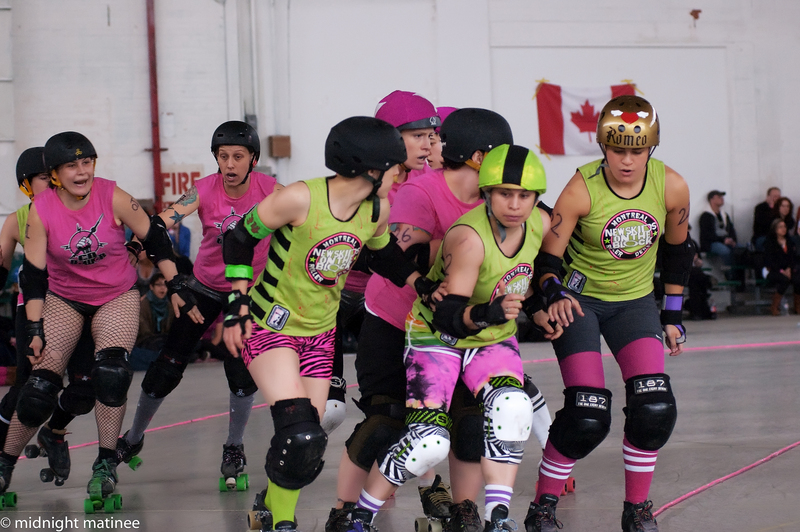 The Beast of the East 2011 had changed the lay of the land as Toronto Roller Derby came in positions two, three and four behind the winners Rideau Valley. 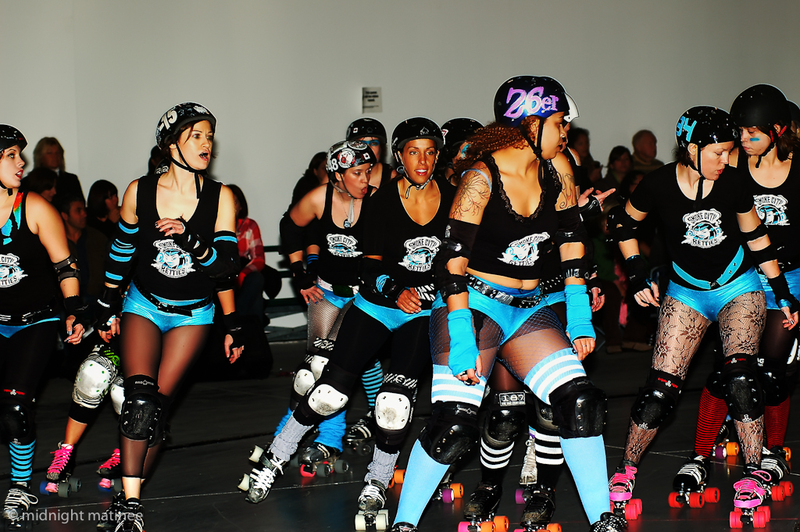 The other sign of the apocalypse was Death Track Dolls first win over Chicks Ahoy! So all manner of anticipation added to the buildup to the season closer at ToRD. A chance for revenge for Chicks Ahoy? Could the Dolls do it again? All those feelings go left by the wayside from the start as the Chicks Ahoy! started piling up the points. The programme was filled with faces not on the track. 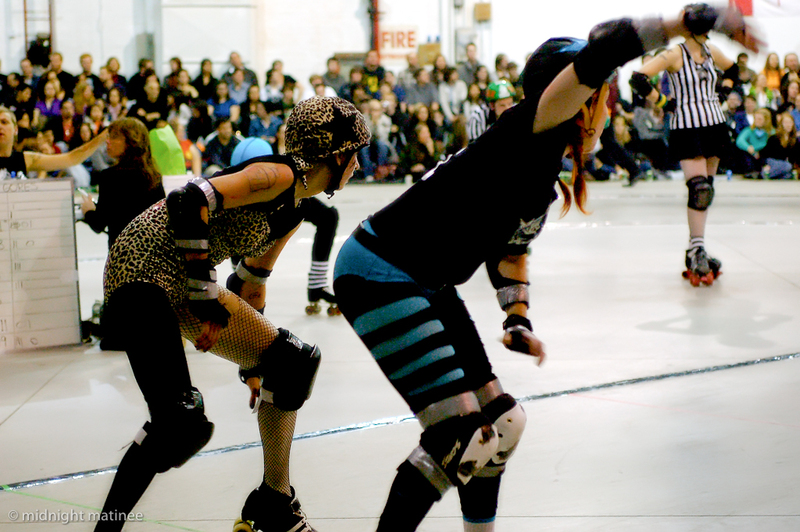 Most notably absent in action was Land Shark out of the country, which left Santilly in Yo Face in her place on the jammer. And Night Ryder looked new at least to us. 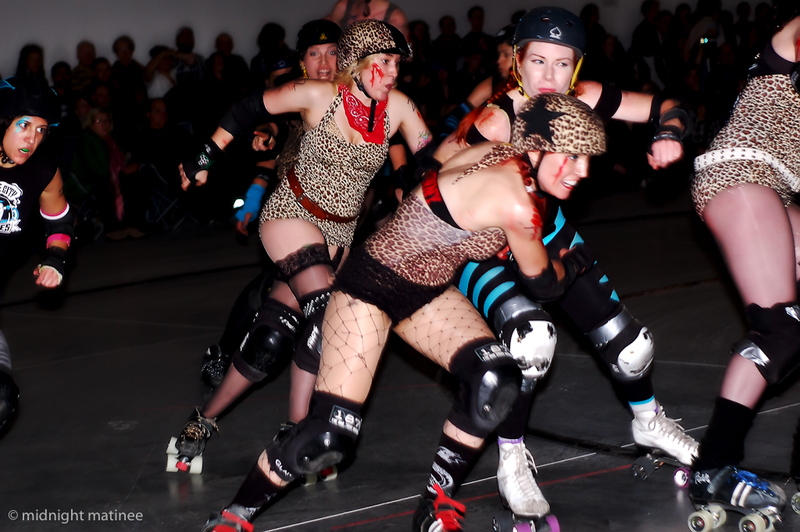 It was not a good night to be a jammer with Death Track Dolls last night as Santilly in Yo Face and Jubilee were thrown into the fray along with Captain Betty Bomber and Slam Wow. Chicks Ahoy! had a find in Kookie Doe and Bala-Reina. 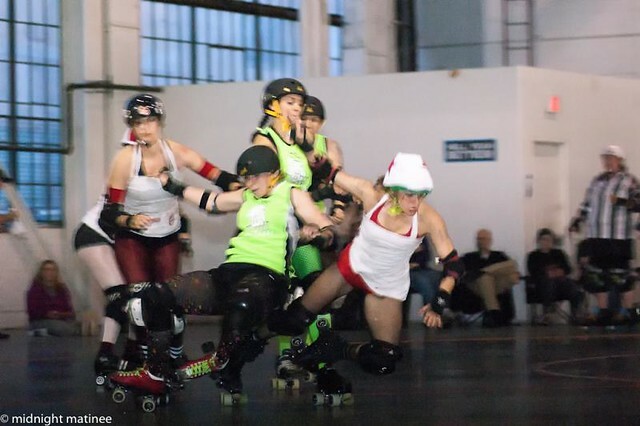 Probably the first of many memorable hits left a vulnerable Santilly struggling for balance on the edge of the track while trying to re-enter when the Chicks absolutely levelled her. 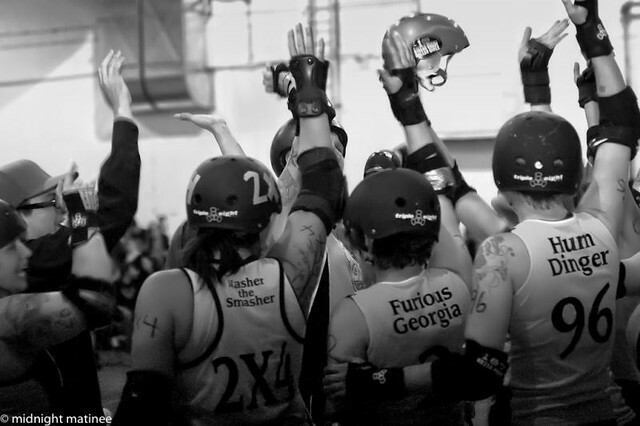 By halftime, all doubts were erased that the Chicks Ahoy! were back. 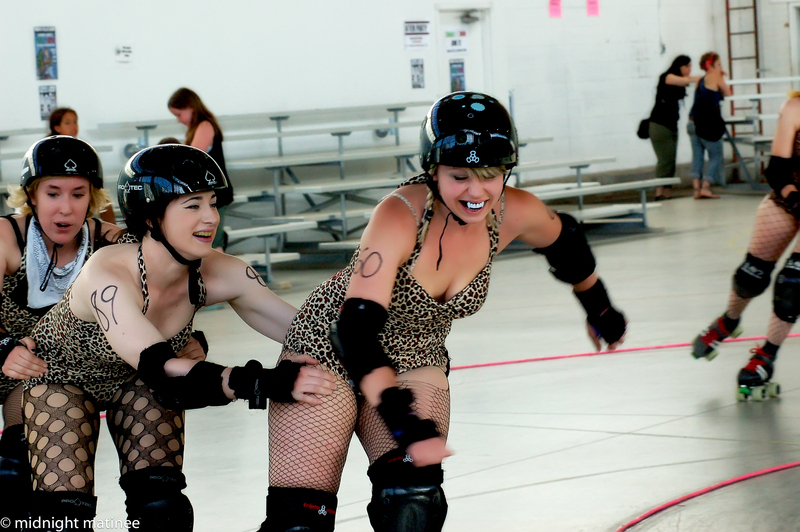 With a 111-13 half time score, Death Track Dolls faced a tough comeback. Mr. Whistler laid out a whole list of reasons why the turnabout was in play. 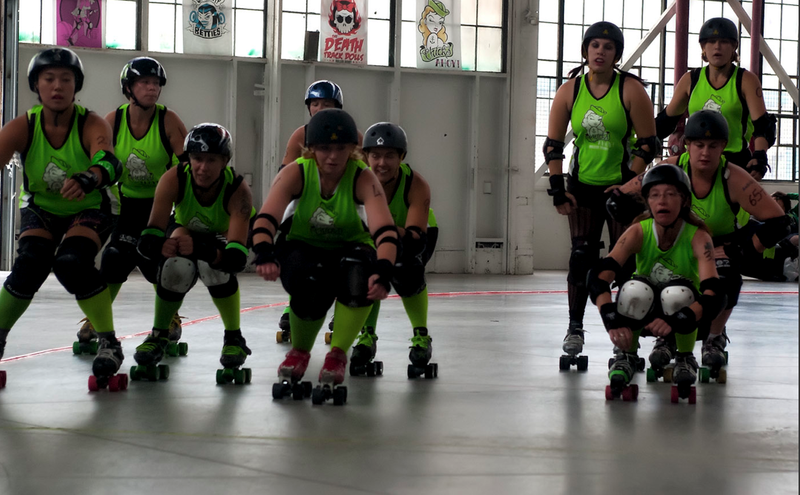 Land Shark missing necessitating a change in the jammer and blocker rotation with players shifting around positions, new players on the track, Marmighty and Rebel Rock-It playing their A-game as Chicks Ahoy! blockers. And of course, the key difference was this was a 60 minute bout as opposed to the twenty minute format of Beast of the East. 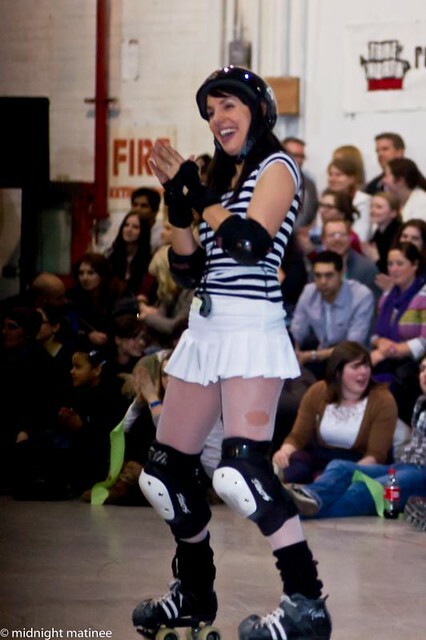 The challenge for the Dolls according to ToRD TV commentator Derby Nerd was could the team hold the Chicks Ahoy! down to under 200 points. 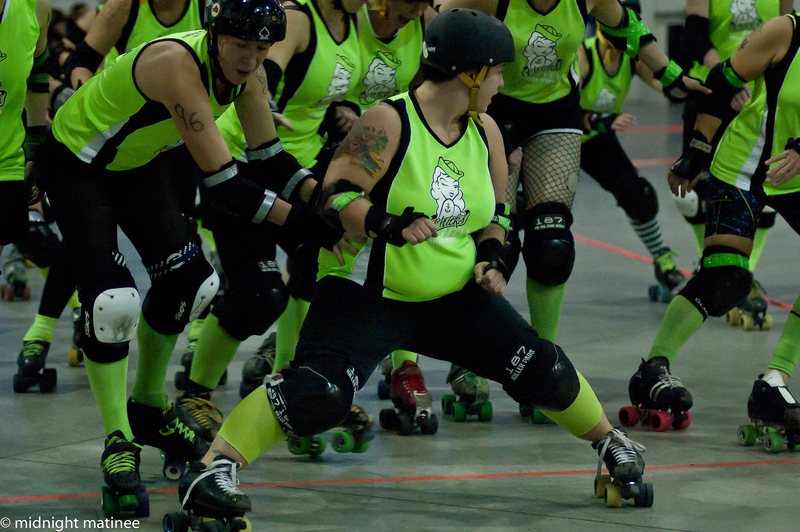 The two teams came out flying again in the second half, with Jubilee being added to the jammer rotation. The second half was even tougher but it ended up 198 – 35. 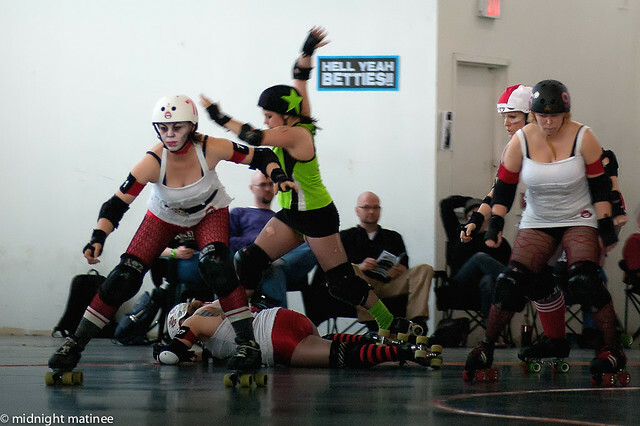 Both squads lay down their bodies and spilled blood on the track in a night of real hits and real action by real players. One can begin to hear the blood bubble again for the semi-final two vs three as Chicks Ahoy! 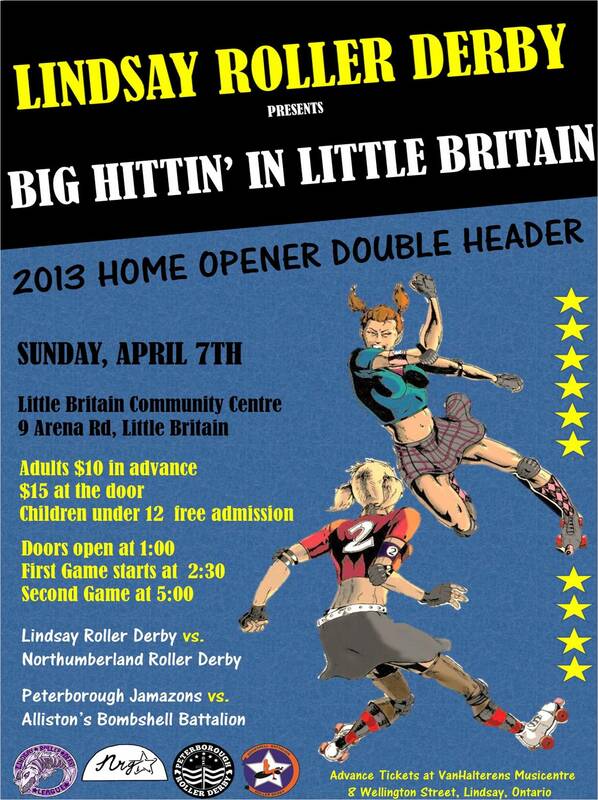 and Dolls go head to head again for even more real hits, real action.